Geoffrey Spenceley, “His Lordship” as he enjoyed being called, has passed on. 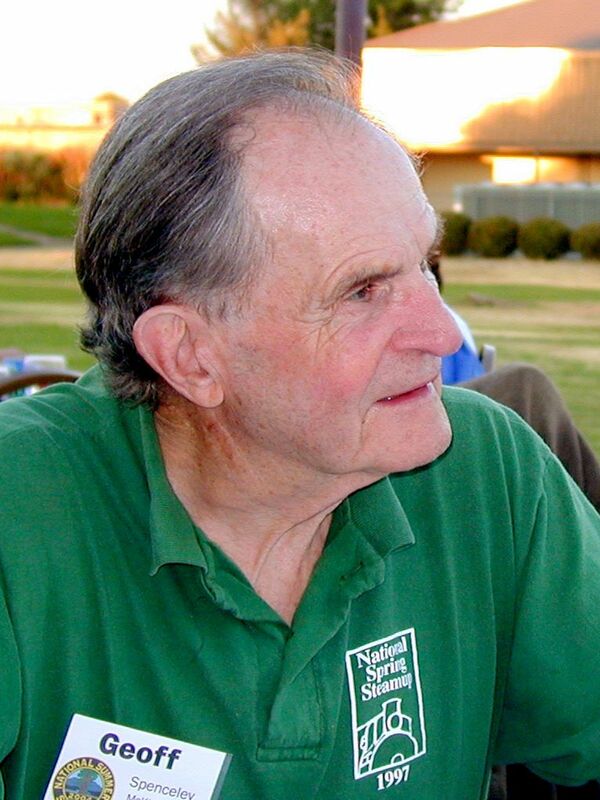 Geoff boarded the outbound train to the great beyond during the early morning hours of August 03, 2017 after nearly 96 years on this planet. Geoff has now reunited with his wife, Queenie and his eldest daughter Ginny. He is survived by his two sons, Bill and Scott, and his daughter Christine and granddaughter, Lauren. This piece is simply a collection of my personal memories of Geoff and not meant to be a full rundown of Geoff’s amazing life as a Royal Marine, salesman, husband, father and a friend to many of you. Geoff and I first crossed paths back in 1989 at a Garden Railroad gathering in Humboldt County. 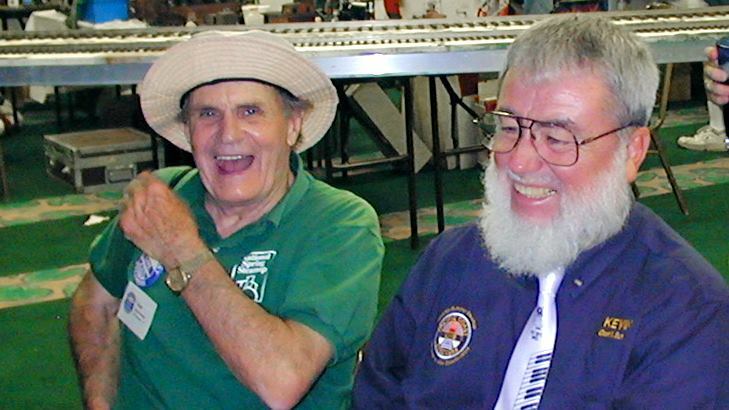 He was hosting the very first meeting of a group named the Humboldt Bay Garden Railway Society, based out of Humboldt County in far Northern California. Geoff’s enthusiasm and encouragement found me asking more and more questions about Live Steam and our friendship grew from there. 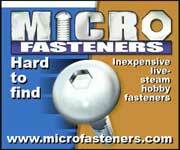 He became my live steam mentor as I purchased my first locomotive, a Roundhouse Fowler, in the mid-nineties. 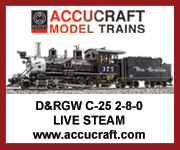 As time went on, Geoff, together with a few other friends of ours, formed a regional Live Steam group dubbed the Lost Coast Live Steamers. It was a loose knit cadre of like-minded souls that would hold impromptu gatherings to run our Live Steam locomotives each year. Geoff remained involved with the Humboldt Bay Garden Railway group as their President and “Conductor” of the newsletter for many years. Geoff & Kevin O'Conner sharing a good story at a steamup. In late 2001, my Dad had been diagnosed with cancer and Geoff was right there with support for both my dad and myself. After my dad had passed on, I used to call Geoff my “Surrogate Dad,” because both he and Queenie were great sources of strength and friendship to my Mom and me during that difficult time. 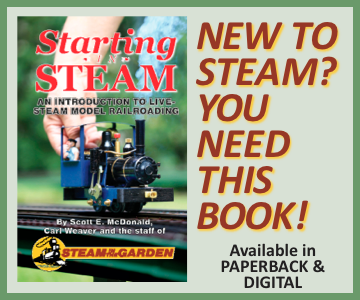 Geoff’s deep passion for “trains” ran the gamut, from beautiful English Standard Gauge locomotives in Gauge One, up to ride-on engines in both 3 1/2- and 5-inch gauge. 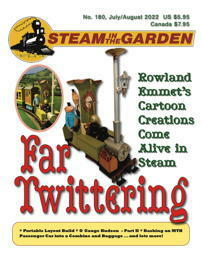 He also dabbled in English narrow gauge and American prototypes as well. His interests and skills knew no bounds. He was very proud of the number of Aster kits he had assembled and ran over the years. In fact, there was an uncompleted Aster kit still sitting on his workbench waiting for Geoff’s return. Sadly, that never happened. Geoff was loved by everyone he met. His charming personality, sense of humor and wisdom endeared him to many. I personally benefited from my friendship with Geoff by being introduced to dozens of the people I now consider dear friends of my own. 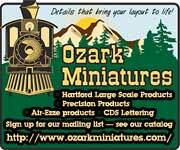 <p> Geoff had been going to International Small Scale Steamups in Diamondhead since its first inception. He proudly displayed every single coffee cup he had collected from the event in his living room. With some prompting, he finally persuaded me into going to Diamondhead in 2006. Well, that didn’t happen due to the landfall of Hurricane Katrina on the Gulf Coast. We did however, begin traveling together in 2007 and continued to participate in the “Diamondhead Experience” up until 2010. After that air travel just became too difficult and frustrating from our little remote Humboldt County Airport, and neither one of us ever went back again. My fondest memories of Geoff would always involve sitting down with a beer or a “Tanqueray over,” his drink of choice, be it at Diamondhead, Sacramento or one of our local gatherings, – this was a tradition for the two of us. We talked about trains, of course, politics and the folks we both enjoyed being around. His laugh was absolutely contagious. His wit was quick and sharp, which certainly kept me on my toes. He was so brilliant with his observations of people and he truly loved his friends. 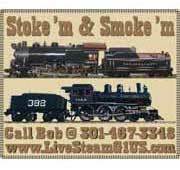 Geoff was the very first live steamer to receive the Ron Brown Memorial Steamup Enthusiasm Award. 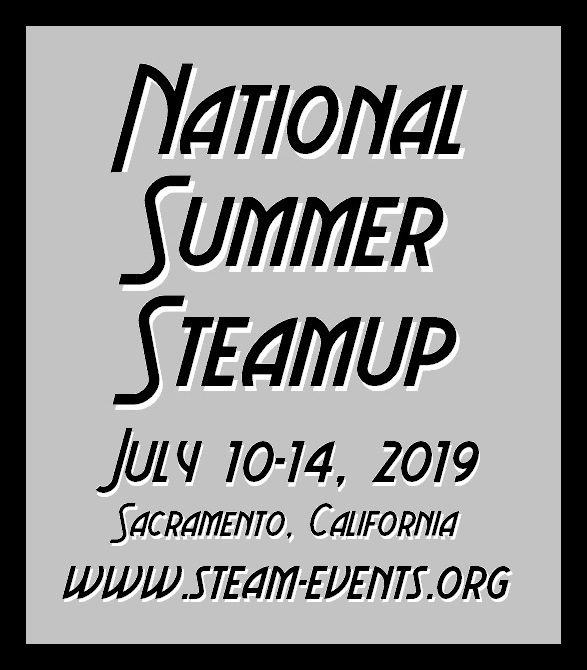 The award was given to him at the 2011 National Summer Steamup in Sacramento. Six years later, my dear friend and fellow troublemaker, Jim Hadden and I won the same special award. It was quite an honor to be considered on the same level as Geoff, my long time friend, mentor and traveling partner. We have all lost a very special individual. I will miss him on so many levels. So with all this said, I lift my glass to you my friend, I will never forget you. Cheers to you, His Lordship!